WASHINGTON — The search is on in Fairfax County for a man police believe assaulted two girls in Annandale, Virginia. 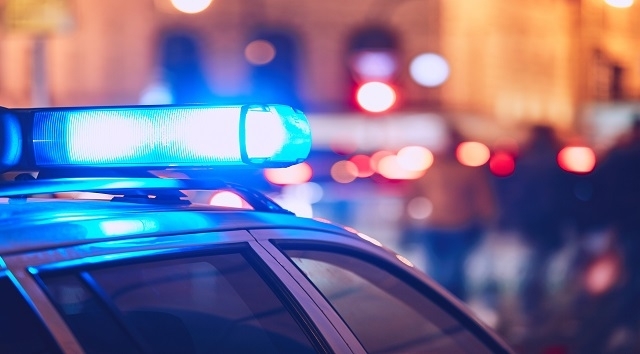 The girls, ages 11 and 13, told Fairfax County police they were walking along the 7900 block of Charles Thomson Lane at 6:30 p.m. Saturday when a man approached them. The man is accused of touching one of the girls inappropriately, police say. When he tried touch the other girl, she fought back and the suspect ran off, according to a Fairfax County news release. A search from the air and ground was launched but police didn’t find the man. On Sunday, police returned to the neighborhood with the hope of developing more clues which will allow them to identify the man. The man is described as Hispanic, around 5-foot, 4-inches tall, with a heavy build and short, black hair. He’s believed to be between the ages of 30 and 40 years old and was said to be wearing a green vest, a plaid long sleeve shirt and bluejeans. Anyone with information in the case should call the Fairfax County Police Major Crimes Bureau at 703-246-7800. Anonymous tips can be submitted at the Fairfax Crime Solvers website or by calling 866-411-TIPS.